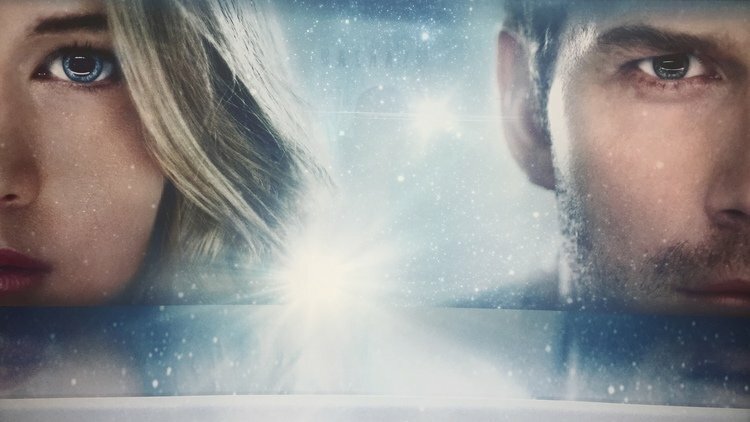 The first footage from Sony’s sci-fi romance, Passengers, starring Jennifer Lawrence and Chris Pratt screened at CinemaCon last night to great acclaim, and now we have a preliminary teaser poster featuring the two leads for you to take a look at. Aside from the tagline, there’s not a whole lot to it, other than close-ups of Lawrence and Pratt’s faces – which, let’s be honest, is probably enough to sell the movie alone. The story is an intriguing one though: a crew of over 5,000 people are travelling across space to colonize a far-off planet. The journey will take 12o years so they’re all in hypersleep… until a malfunction wakes one of ’em (Pratt) up early. The footage showed Pratt’s character getting to grips with his situation, until a year later another crew member (Lawrence) revives and joins him. The two enjoy the many luxuries their ship provides, until it becomes clear that unless they do something, they – along with the rest of the crew – are going to perish. Passengers also stars Aurora Perrineau, Michael Sheen and Laurence Fishburne, and is set to hit theaters on December 21.